How to find programs that help youngsters excel. For many parents, choosing an afterschool program or extracurricular activity for their child is just as hard as choosing the school their kids attend. Such clubs and programming fill the critical hours between the rigors of class and responsibilities at home. Want to give your child an edge at getting to or staying at the head of the class? Then look for groups that offer structured supervision that allows youngsters to focus on their academic needs, as well as chances to experiment with personal interests. Many cities offer myriad afterschool options. However, how do parents know which program is best suited for their child? Below are six questions and answers to assist in making a sound decision. Does the program cater to my child’s interests? Does your child dream of becoming the next Pulitzer Prize winner? Clearly you’ll want a program with writing at its core. If your child has athletic aspirations, such as to shoot hoops like Lebron James, consider a program that allows kids to hone sports-related skills and classroom skills. You can decide how much focus should be on either. Going with a specialty program is also an option. Does the staff offer constructive feedback? Feedback gives a picture of what children have gained during their time in the program. The directors should be able to regularly update parents on each child’s progress. Along with granting parents an informed portrait of how their child is doing in the group, feedback can shape future decisions for choosing programs and extracurricular activities to best suit kids. It also lends parents perspective when speaking with their kids about their experience in the program. Do students from other schools attend the program? Positive socialization is one of the major benefits of many programs. Interacting with children from other school districts or neighborhoods on neutral ground is a great way for your child to form what could be enduring friendships. If this happens, children build a support system of friends regardless of where their schooling takes them. Is the program informed about what children are studying in school? It’s often beneficial if the program your child attends maintains a relationship with area schools. This allows the program staff to plan activities in conjunction with academic lessons. The more in sync a child’s after hours programming is with his or her actual schooling, often the greater the opportunity for success. As classroom size across the country continues to swell, you might want to choose a program that provides plenty of individualized attention. The larger the group, the less likely this occurs. Is there an opportunity for kids to interact with professionals from various fields? Just as many academic-related programs enable children to engage with peers, they can also expose kids to adults with appealing professions. Many programs occasionally invite authors, actors, athletes or other personalities to share their talents. This may ignite interests in kids that could one day turn into a lifelong career. Either way, there’s wonderful potential for inspiration. Parents want children to use their time wisely when it comes to academics. 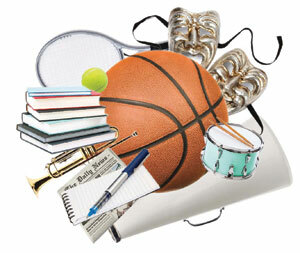 Extracurricular activities should give students a place to de-stress from homework and exams. While programming should assist kids with their studies in some way, it should allow play and creativity, too. Taking these points into account should guide you when choosing an afterschool program. Most important, be sure the choice is one your child can get excited about and has areas for both personal and academic growth.